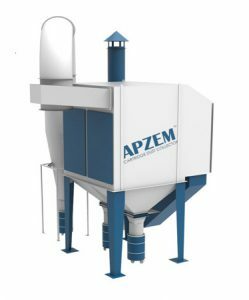 Apzem® Laser Cartridge dust fume extractors were specially made for Heavy duty Laser Metal Cutting & Cladding applications generating so much of fine dust particles. All our cartridge dust collectors comes with pleated cartridge filters with fully automated pulse cleaning arrangements for continuous duty applications. All Laser machines along with properly chosen Laser Fume Dust extractors will boost productivity, operator safety, Machine life and product quality. Heavy duty Laser fiber metal cutting applications. Power option : 230V, Three Phase, 50 Hz. Primary Filter : Cartridge Filter. Fully automatic filter cleaning with differential pressure sensing arrangement on request.